Standard Xchange was established in 1917 as Ross Heater Manufacturing Company Inc. Founded by Scott Ross, the company supplied heat exchangers to oil refineries such as Texaco, ESSO, and Standard Oil. 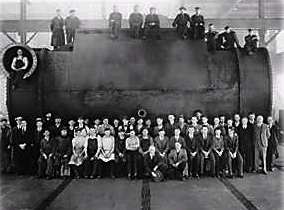 In 1933, it was acquired by American Radiator and Sanitary Standard and merged with Kewanee Boiler. Twenty years later, in 1953, it separated and ultimately became known as American Standard Heat Transfer Division. The company was purchased by the ITT Corporation in 1986 and operated under the ITT Standard name until the end of 2011. In 2012, ITT changed its brand name to Standard Xchange, part of Xylem Inc., a leading global water technology company. The factory is currently based out of Cheektowaga, New York.